With the world commemorating November 10 as 'Malala Day' in honour of Pakistani child activist Malala Yousafzai, UN Secretary General Ban Ki-moon extended his support to the young girl and her fight for education, describing her as the "global symbol" of every girl's right to an education. 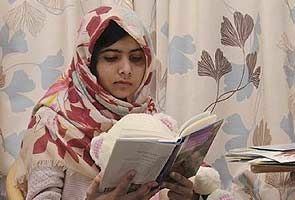 UN Secretary General Ban Ki-moon's Special Envoy for Global Education, former British Prime Minister Gordon Brown has said November 10, a month after Yousafzai was shot at by the Taliban for campaigning for girls' education in Pakistan, has been declared Malala Day. The day would be commemorated in support of the 14-year-old and the 32 million girls like her around the globe who are denied their right to school, Brown said. In his message of support for Yousafzai and girls' education, Ban said, "Malala Yousafzai is a global symbol of every girl's right to an education".